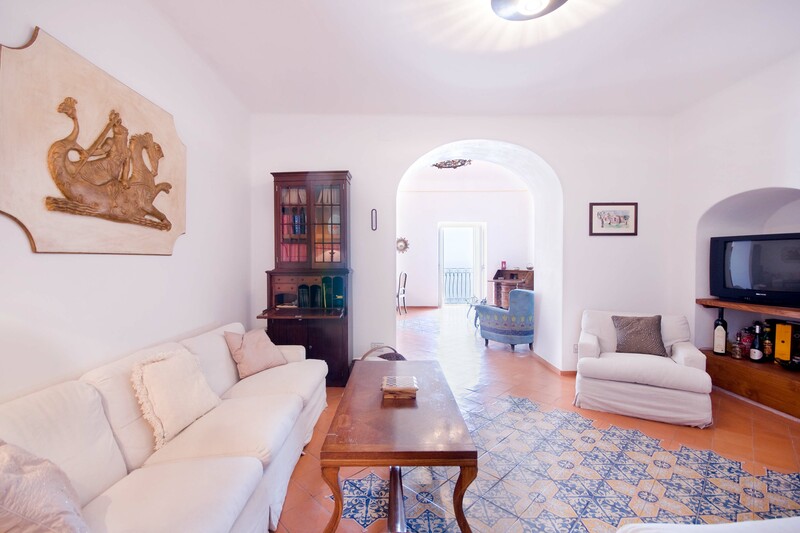 The 2798 square feet of covered house, dating back to 1820 but recently undergoing a complete restoration, offers an additional 3000 in usable, furnished terrace spaces. The property entrance is located directly off of the main coastal road (and offers one, enclosed parking spot), however, there are 90 steps leading down from the main road to the private gate which enters the property. 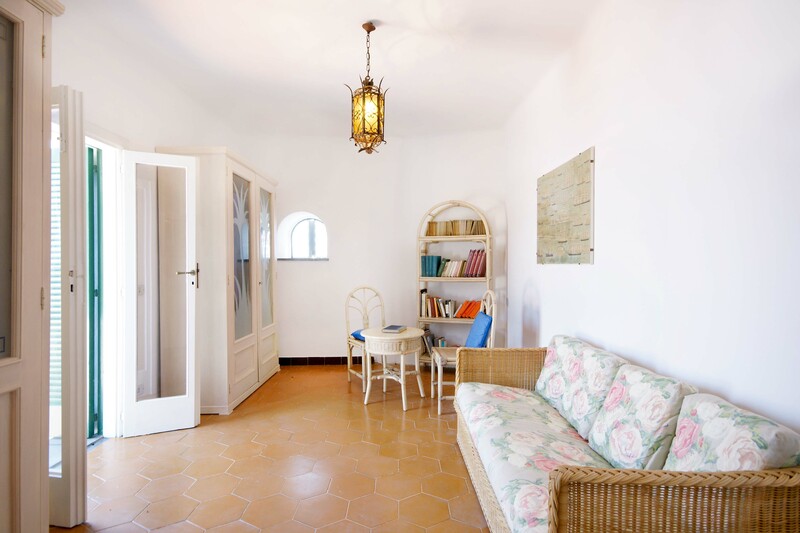 The property offers various pathways intertwining throughout and the extreme left area of the property offers a stone ‘grotto’ from where one can sit and enjoy some of the panoramic views. 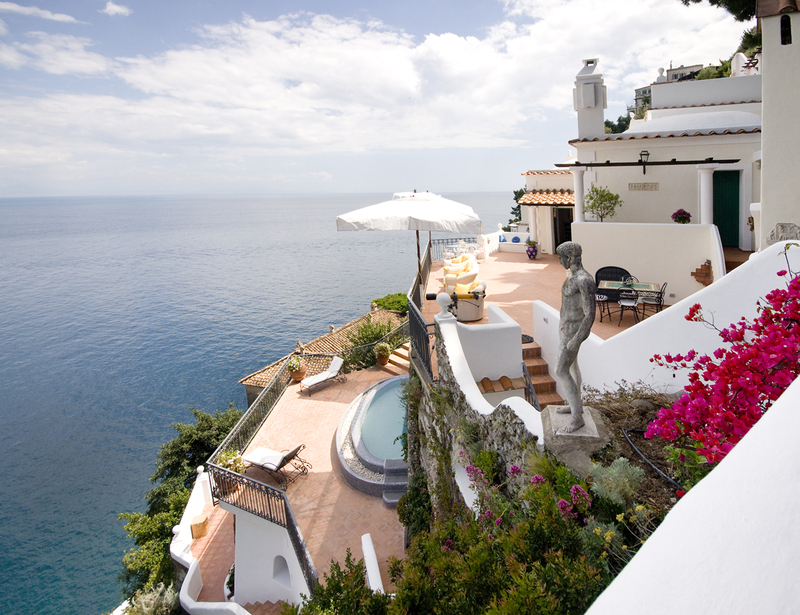 To navigate the property requires walking, steps, and various terraces. The main terrace of the 3-story house is located about 100 steps down from the main gate. The front door is found off of the main terrace, which offers the most amazing panoramic views and tranquility. The main terrace, with its white color motif and tile floors, boasts a stone barbeque, dining table for 4, various seating areas, a glass coffee table, couches and chairs with a sun umbrella, and some stone bench seating. 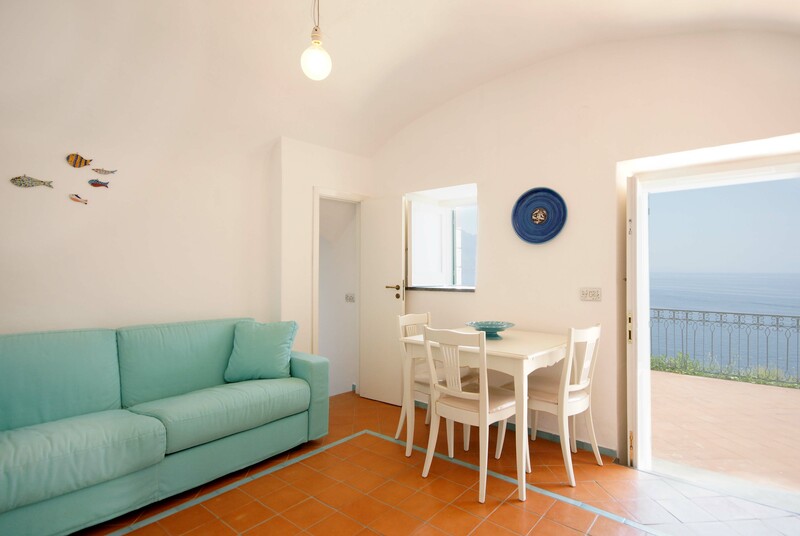 This beautifully peaceful and super-panoramic property, fully air conditioned in all bedrooms, is situated in Conca di Amalfi on a beautiful strip of coastline offering some of the area’s most panoramic views. 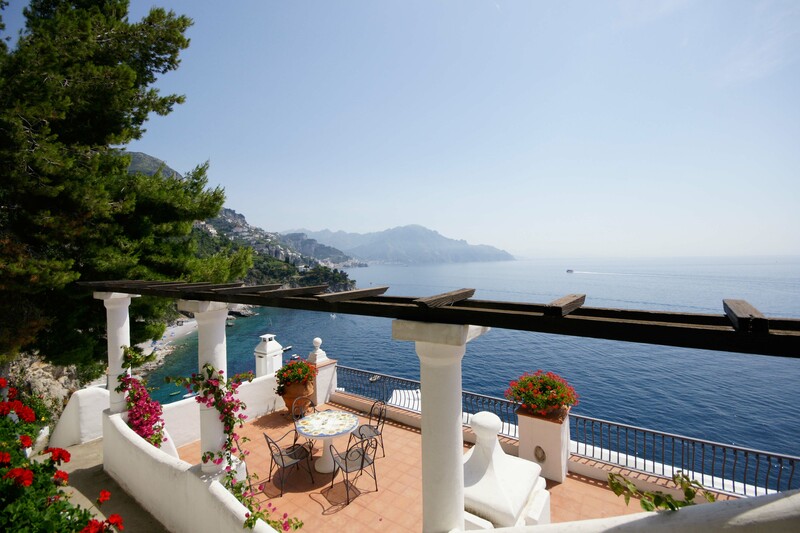 Roughly 1,5 miles from the center of Amalfi, the property is situated in a very strategic area offering the best of the Amalfi Coast. The immense piece of property (60,000 sq. 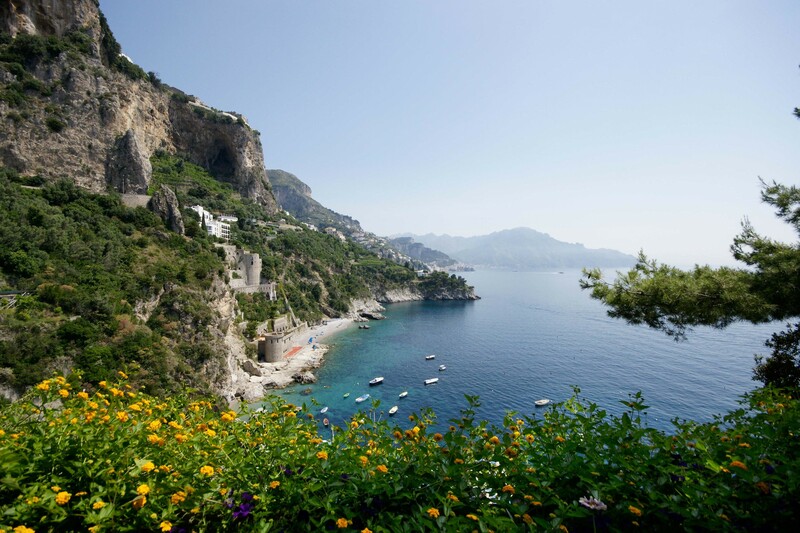 feet of land) is immersed in Mediterranean floral, vegetation, and trees and offers direct access, via a pathway and steps, directly down to the waterfront and some of the most pristine waters of the entire area. 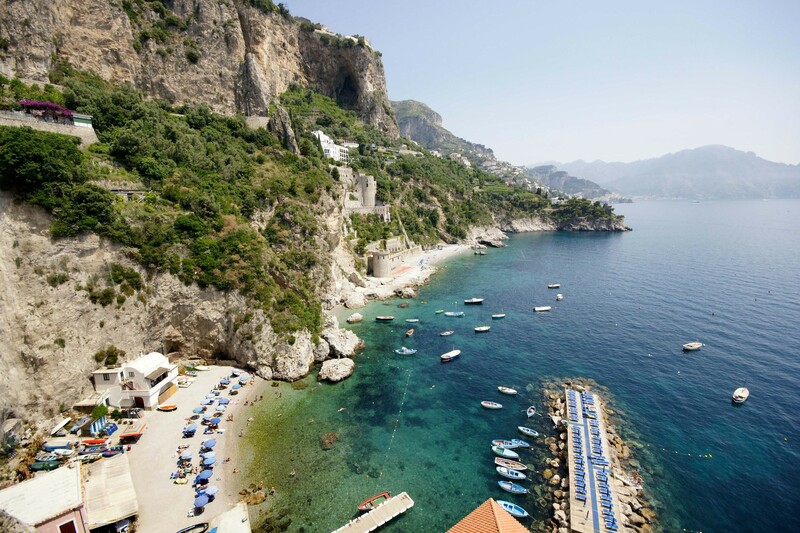 Beach Access: closest beach (Capo di Conca beach) at 2 km (roughly 1.25 miles) including 300 stairway steps. Bedroom 4: Double size bed, En-suite bathroom with shower, Sitting area, small fridge, microwave, Television, queen size sofa bed. Access to private terrace. 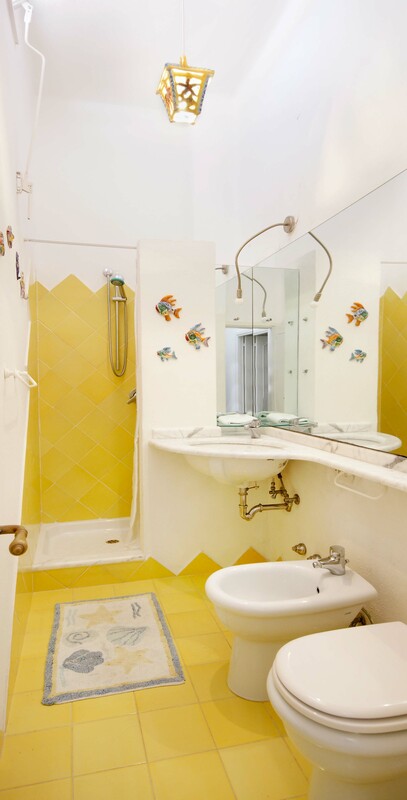 The villa is splashed with beach house colors (yellows, blues, and greens) and ceramic tile floors abound. 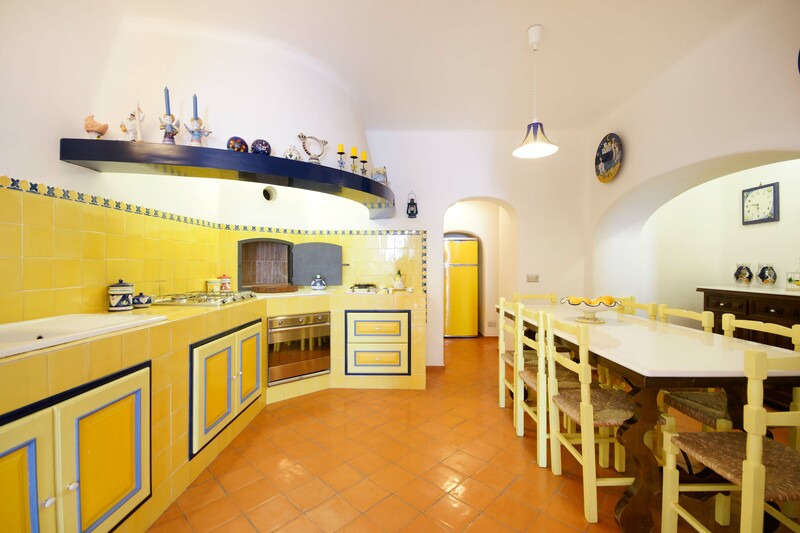 Entrance is into an open format where a small breakfast room bleeds into the bright, ceramic tile kitchen with a four-range stovetop, dining table for 8, refrigerator/freezer, brick oven, and dishwasher. The breakfast room also borders, on the opposite side, the living room and secondary, small reading room. The main living room is an open space with a couch and several chairs, along with a glass coffee table. The smaller reading room boasts a Satellite TV with DVD player and radio. 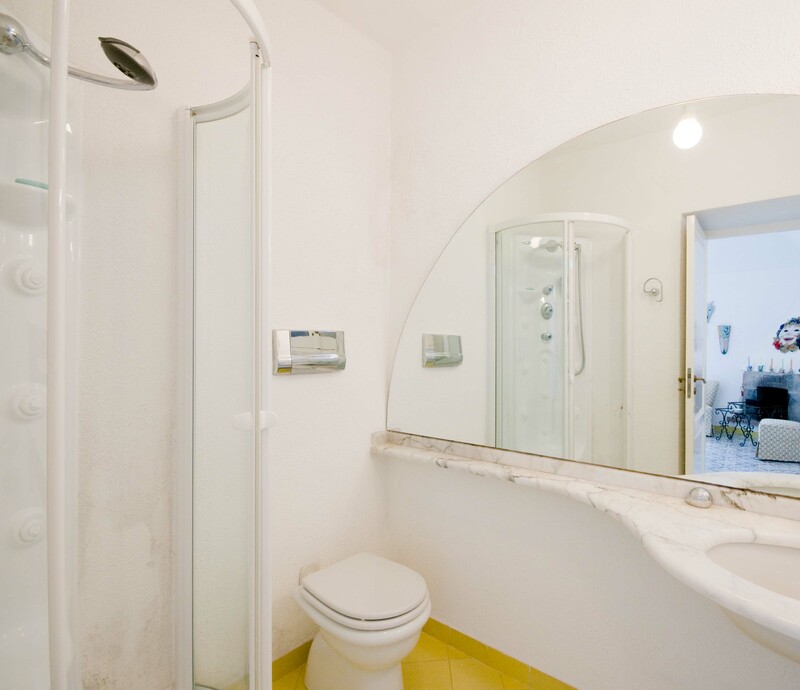 There is also a half bathroom. 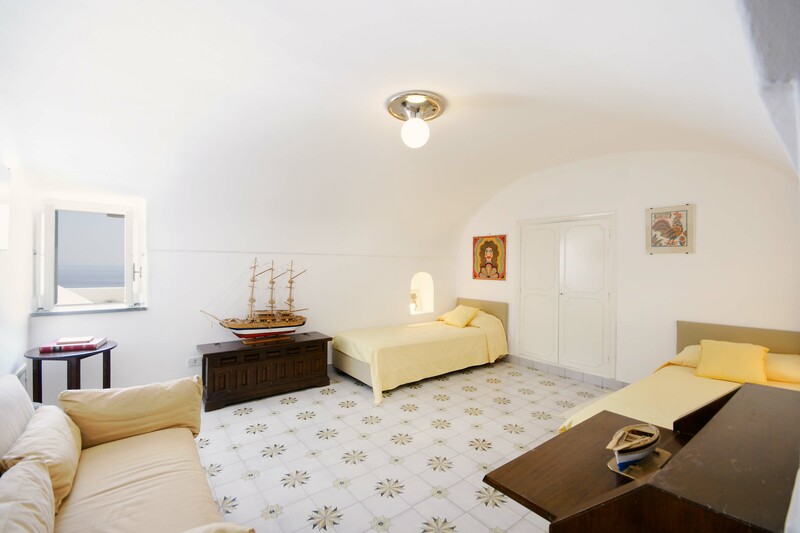 The first bedroom is found up a half flight of steps from the main entrance to the villa. It looks out onto the main terrace and access to the bedroom can also be achieved directly from the terrace. 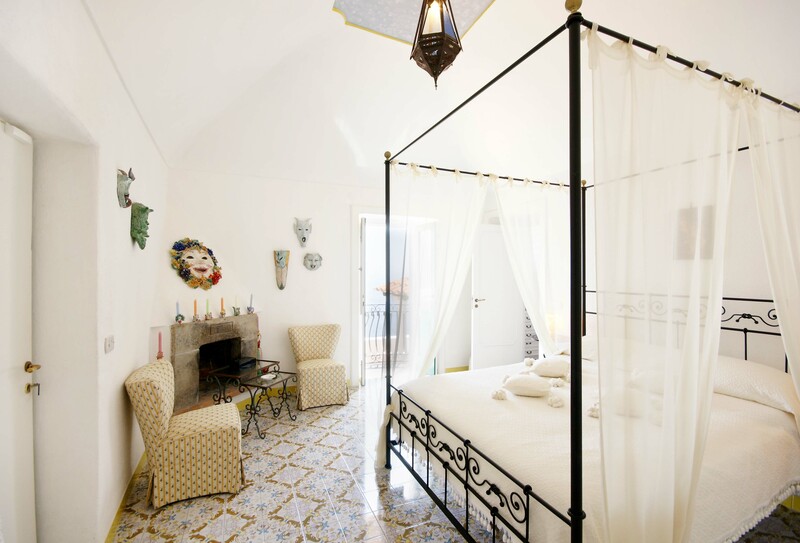 The very comfortable bedroom is a King size bed with beautiful ceramic tile floors, cupola ceilings, a fireplace, and en-suite, ceramic tile bathroom with Jacuzzi-jet shower. Another ½ flight of steps leads you to another two bedrooms, both doubles (queen size) and both with built-in closets. None of the four bedrooms have doubles that can be split into twin beds. 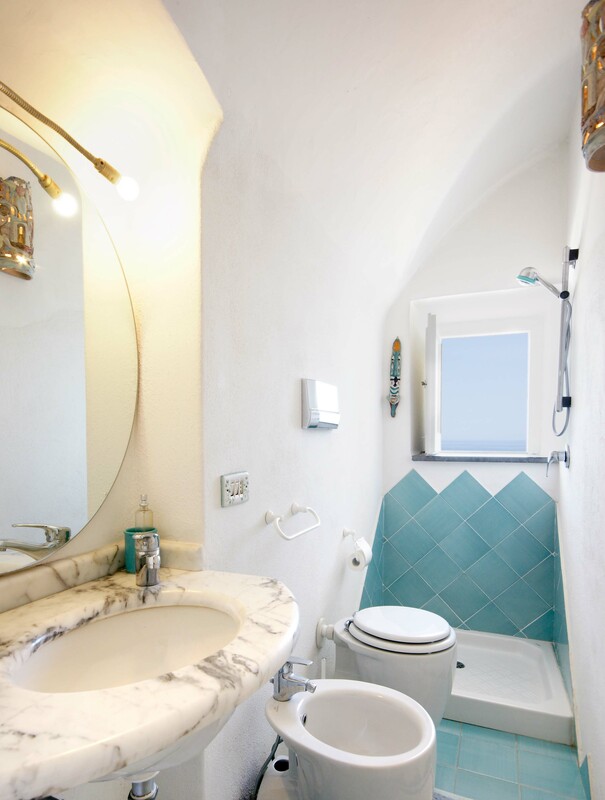 These two bedrooms share an external, ceramic tile bathroom with shower. Down a flight of steps from the main terrace, a staircase leads to a super-panoramic external shower. 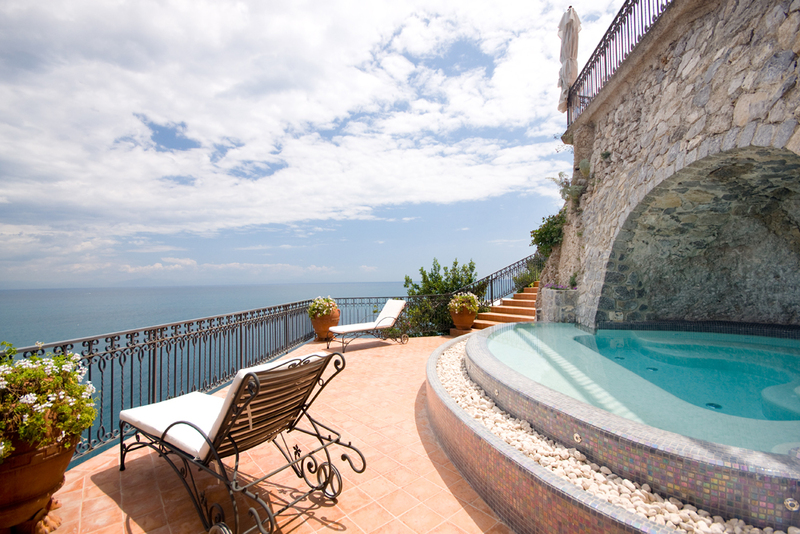 The staircase leads to a second terrace where several sun lounge chairs and a sun umbrella offer even more amazing views and a 6-meter-long x 3-meter-wide ‘grotto’ heated pool/Jacuzzi coming out of the stone wall and plunging onto this second terrace. 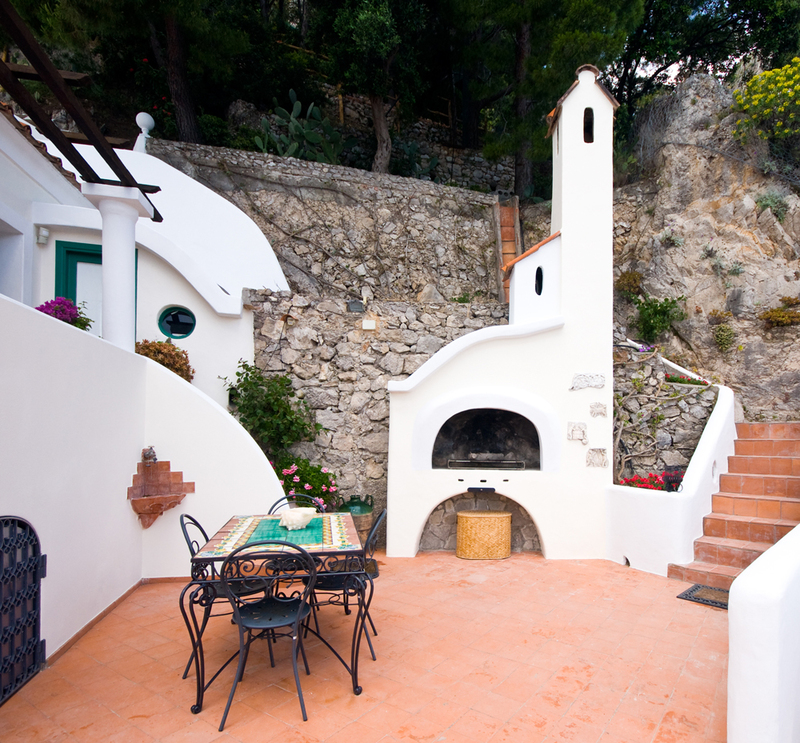 This terrace wraps around to yet another external terrace from where a small annex/guest apartment lies. The small pool can be heated on request, between 25-28° Celsius. Specific water temperatures and the cost of the pool heating service cannot be guaranteed and may vary due to the many environmental variables including wind, humidity, rain, ambient temperature. The owner normally takes the meter reading at the beginning and the end of the occupancy (electricity + heating used). Unfortunately, it is not possible to set the desired temperature in advance. The basic, very beach-feel apartment has a small living room with a breakfast table, chairs, closet, a TV, and a couch which folds out into a queen bed. 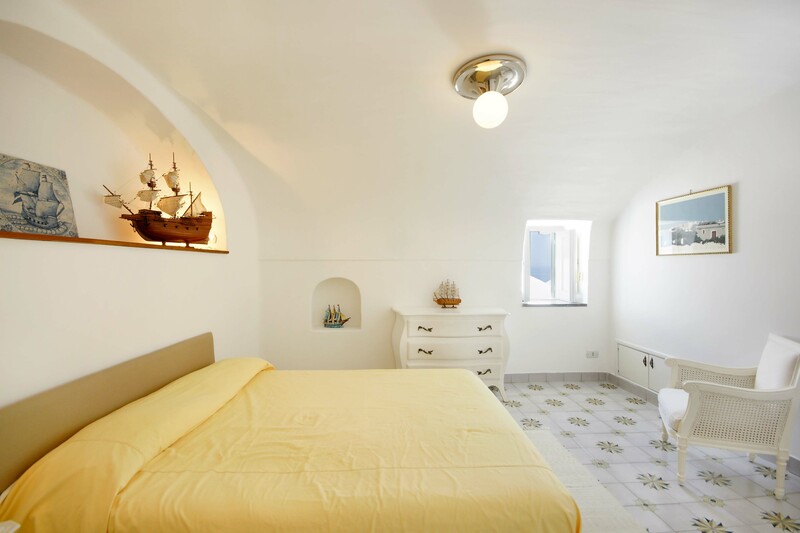 There is a double queen bedroom with dresser and built-in closet and a full bathroom with wall shower. 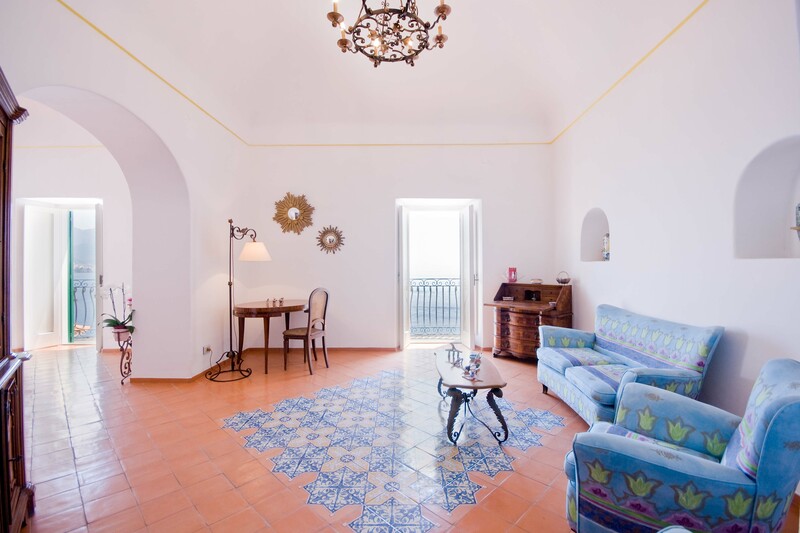 All rooms in the guest apartment lead out onto a private terrace space offering three, comfortable sitting areas. There is an L-shaped seating area built into the rock, a patio living room area with a glass coffee table and chairs, and 3rd sitting area with a ceramic table, 2 chairs and small L-shaped stone bench. 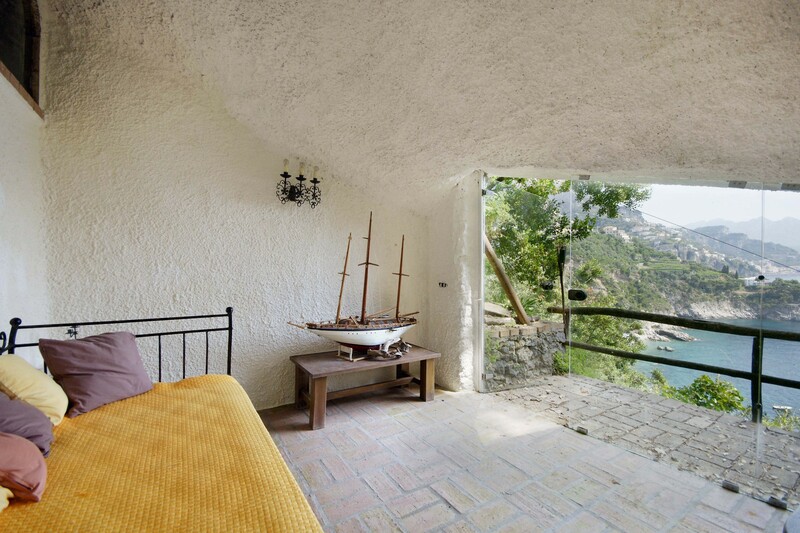 There is also a small, hidden sitting/relax room in a hollowed-out grotto with sofa-bed at the extreme left end of the property, in the garden (technically, this could be used as an extra bed, but the grotto does not have electricity in the room). On the walkway leading towards this grotto, there is a 4th, full bathroom with shower. 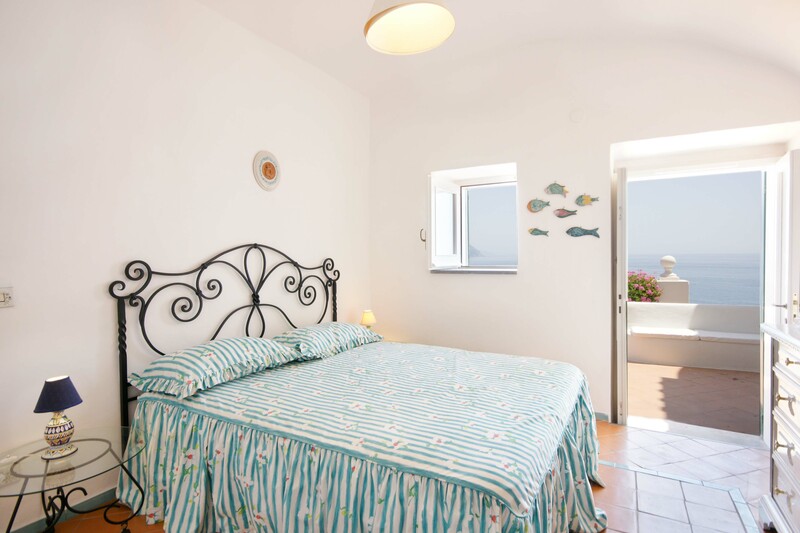 There is a staff apartment unit situated on the lower-most terrace, which is situated under the guest apartment. 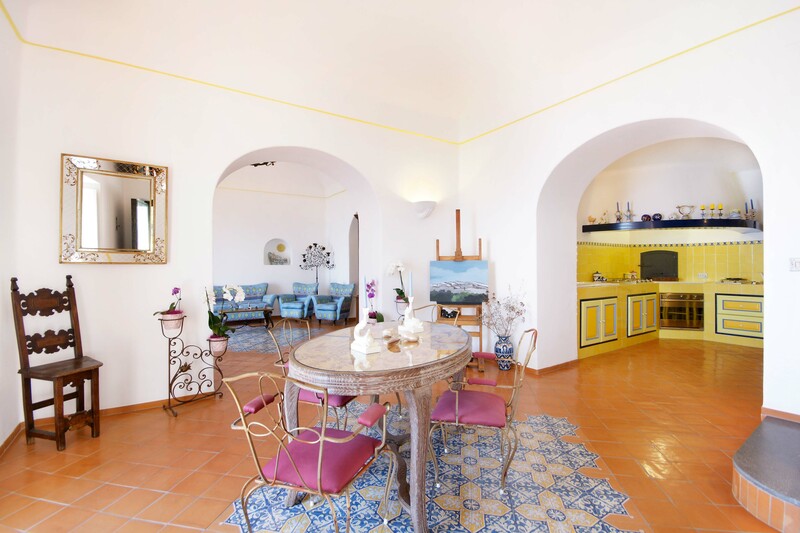 The property has a guardian, which is the head housekeeper, who stays in the staff apartment and is onsite, 24-hrs per day, although rental of the villa only includes 4 hours of cleaning/day (additional service upon request). On the street level a parking space for just one vehicle is available. (Free of charge, the parking space is suitable for at most one small car, the size maximum of 5 meters in length and a height of m. 1.80 – you will be able to park it on the premises, inside the entrance gate). Alternatively, you can park for a fee along the public roads (the actual distance might vary depending on the availability of parking space. Being the lot a public one, parking spaces cannot be reserved). Utilities: Water, Electricity (up to 300 kWh/week included, each extra kWh will be charged locally due to consumption. at Euro 0,5 € each kWh. Amount may change without notice).